Having used public transport for most of my life (more out of need rather than out of choice) I have some feedback for all those discussing Delhi’s odd-even formula. Have you seen the rush of people trying to get in Rajiv Chowk metro station, Delhi? The ratio of standing to seated passengers is vastly skewed for the former. There are people of all kinds. Imagine people who smell of sweat, of other body fluids, gas included. Imagine people of all stature, starting from a person earning nothing to anything more than that. WHY will a person who commutes everyday in his own comfort, in a car that he is proud of, at a time that he chooses, choose public transport? There is for sure discomfort in choosing public transport. We cannot copy Europe where you can walk or cycle to the local metro station. The climate doesn’t allow that. But more than that is association of a car with a status symbol. In the vastly commercial world, a manager may not want to be seen using the same mode of transport as the peon. That’s not happening in India for sure. 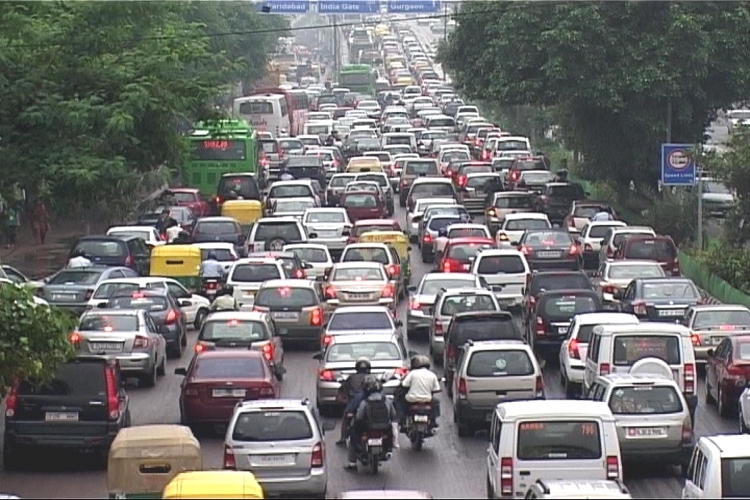 I don’t see Delhi’s odd-even formula helping. It is like increasing prices of cigarettes to stop its use. People who are using it will use it anyways. This will result in more discomfort, frustrated status updates on social media. This may result in each family buying one more car. This will result in more corruption by traffic police. But there will at least be one very important outcome. People will discuss environment more. And by people I don’t just mean the elite audience that throng TV shows. Discussion is very important. Discussion at the very lowest strata of the society will help bring understanding of the situation. And may be then a solution to this problem will come out.